​To utilize our steampunk costumes to bring attention to philanthropic causes and to volunteer our time to give back to the community. 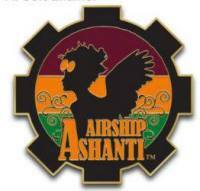 Her Royal Airship(HRA) Ashanti was founded in 2014 as an organization that focuses on championing multiculturalism and philanthropy. 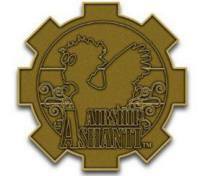 Fashioned with a steampunk aesthetic in mind, HRA Ashanti has created a space within the steampunk community that embraces this fun, whimsical lifestyle from a global view versus focusing solely on Europe and America. Over the past several years HRA Ashanti has worked to support its local community by participating in 5Ks, charity benefits, and events that center around people of color. In addition, we’ve hosted several events including a food and clothing drive and an annual no sew blanket makers day, Fleet of Fleece. As we continue to grow, HRA Ashanti strives to use our steampunk attire and cosplay costumes to bring attention to the numerous causes that are near and dear to our organization as well as to the world around us. Ashanti Bazaar - New/Used/Vintage clothing and accessories for sale! Profits from the items purchased are used to support HRA Ashanti's non-profit, philanthropic activities. To visit please click here . For questions, comments, or concerns please contact Mandisa Njeri .